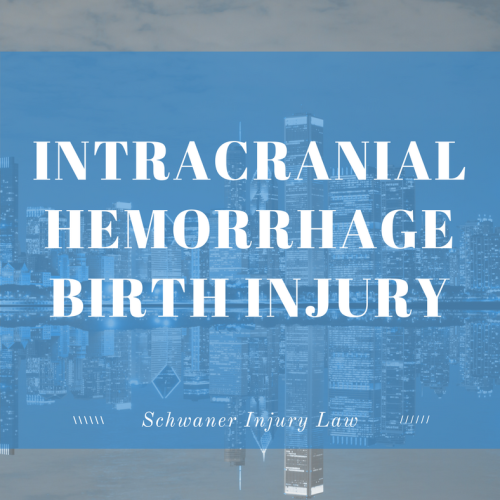 Intracranial hemorrhage birth injury is a type of traumatic birth injury that has the potential to be devastating. Intracranial hemorrhage is a medical term for bleeding within the skull, either within the brain or between the brain and the skull. Intracranial hemorrhages are a type of traumatic birth injury that can range from minor to extremely severe, and they are often caused by medical negligence including the misuse of assisted birthing devices including forceps and vacuum extractors, mistakes that lead to oxygen deprivation, the improper use of force during a complicated delivery or trauma during delivery. Early diagnosis is vital because bleeding of the brain can cause serious injuries including brain damage, impaired motor function, and developmental disabilities. How Do I Know if My Baby Suffered an Intracranial Hemorrhage and Should Contact a Birth Injury Attorney? How Is an Intracranial Hemorrhage Treated? What Are the Potential Outcomes of Intracranial Hemorrhage Birth Injury? There are a wide range of different types of intracranial hemorrhages that an infant can experience due to a traumatic birth, ranging in severity from brain bleeds that resolve themselves with no side effects to those that can cause serious, lasting disability due to the impact of rapid bleeding within the brain. Cerebral hemorrhage. Cerebral hemorrhages are a type of stroke caused by a ruptured blood vessel inside the baby’s brain that causes bleeding within the brain. Subarachnoid hemorrhage. Subarachnoid hemorrhages occur in the space between the two membranes that cover the brain. It is usually marked by seizures, lethargy and apnea, and can cause a host of health problems including hydrocephalus, periventricular leukomalacia (the death of white matter in the brain), cerebral palsy and permanent brain damage. Intraventricular hemorrhage. Intraventricular hemorrhages are the result of bleeding within the brains ventricular system, where spinal fluid is produced. The most serious of all intracranial hemorrhages, intraventricular hemorrhages are most often seen in premature babies and infants with low blood weight who experience physical trauma or hypoxia (the deprivation of oxygen to the brain) during birth. Cephalohematoma. Cephalohematomas are brain bleeds that occur between the skull and its covering, and it is the result of ruptured vessels. While this particular brain hemorrhage often resolves itself within the first few months of birth, severe cases can cause neonatal infections, the death of brain cells and calcification that causes the skull to become misshapen, requiring surgical intervention. Subdural hemorrhage. Also known as subdural hematoma, this is the most common type of intracranial hemorrhage, and is occurs when blood vessels in the subdural space – the space between the surface of the brain and the tissue that separates the brain from the skull – rupture. These ruptures are most often caused by complicated deliveries, and can lead to jaundice, seizures, a rapidly enlarging head, bleeding in the vessels of the retina and a poor Moro reflex, an involuntary reflex tested in newborns to determine their startle response. While not all cases of intracranial hemorrhage are caused by medical mistakes, most brain bleeds occur during labor and delivery. Macrosomia. When the fetus is larger than average for its gestational age, it ups the risk factors for birth injury. Cephalopelvic disproportion. When a fetus is too large to comfortably fit through the birth canal, the risk of birth injuries is elevated. Abnormal fetal presentation. A breech birth or a baby positioned in a face presentation can cause intracranial hemorrhages. Hypoxic ischemic encephalopathy. This neonatal brain injury is caused when oxygen and blood flow to the brain is decreased near the time of delivery. Because lack of oxygen causes the death of brain cells, blood vessel walls begin to break down, triggering brain bleeds that can cause additional brain damage. The improper use of assisted birthing devices. Both forceps and vacuum extraction devices have been linked to intracranial bleeding. Improper delivery techniques. If a doctor pulls or twists an infant’s head with excessive force during the delivery process, the risk of brain bleeds is elevated. In many cases where a birth injury is possible, a cesarean section is scheduled. If, however, a doctor or other medical staff ignore or fail to monitor the fetus for size and weight estimates or signs of fetal distress and fail to schedule a C-section to avoid complications, they would likely be held liable for any birth injuries your child experienced, including intracranial hemorrhage. In order to determine where a hemorrhage is occurring, brain imaging scans – either an MRI or a CT scan or in some cases, an ultrasonography – will be scheduled to better map the brain and pinpoint where a bleed is to determine whether or not any intervention is possible. In some cases, neurosurgery will be scheduled to manage subdural hematomas, depending on the severity and the location of the bleeding. While some intracranial bleeds do not cause lasting problems, in some cases, both mental and physical impairments are possible. Risk factors include learning disabilities, intellectual impairments and cerebral palsy, which most often impacts motor skills. Therapy can help families learn to live with such conditions. If your child suffered an intracranial hemorrhage birth injury and you believe it was the result of medical negligence, call our law offices today. 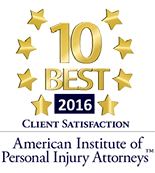 We will help you navigate the complex process of intracranial hemorrhage malpractice and work to get you the compensation you deserve. Your initial consultation is free, and you won’t pay any fees unless we settle your case.